The summer camping season is over. We hosted eight camps this summer with a total of about 160 campers. 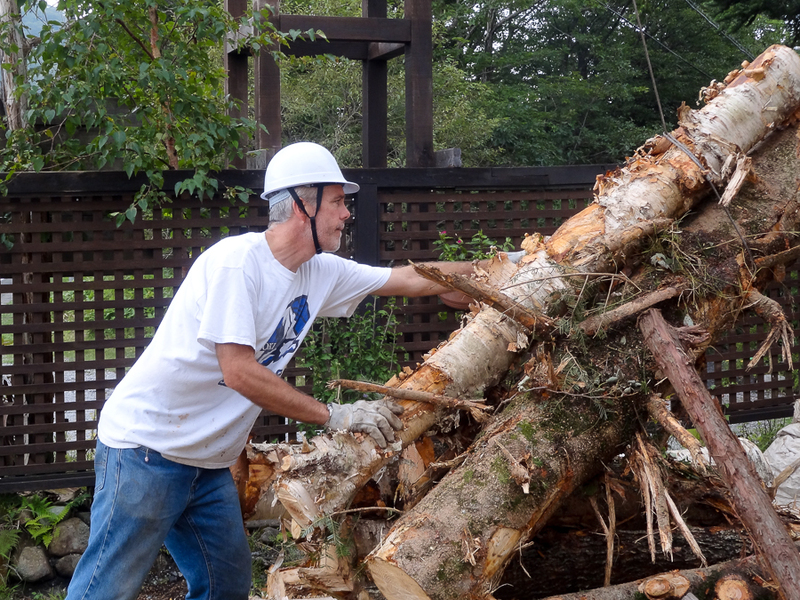 We were blessed by our partnership with Shimon and Yumiko Seino and ten or more other volunteer workers who helped us feed all the campers and keep the facility running. September will be much quieter, but we are thrilled to already have reservations for three groups, and one more in October. In the mean time we are finding lots to do in preparation for the long winter. 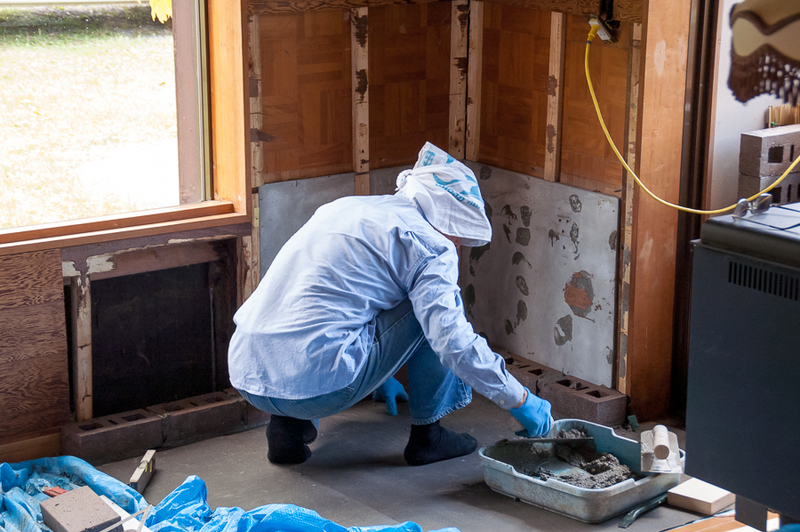 First priority is getting our house ready. 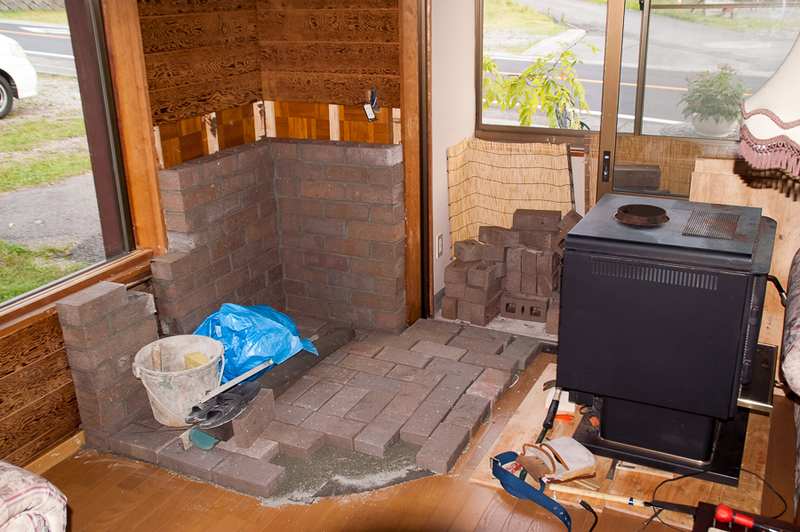 That includes installation of a wood burning stove (our primary source of heat) and a couple more kerosene heaters. 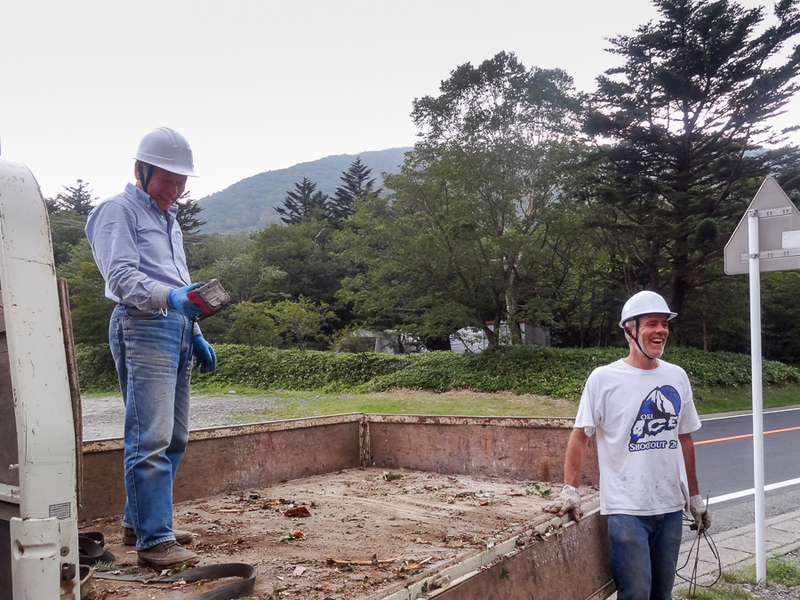 Today our good friend and long time supporter of the camp, Mr. Mitsui of the Chigasaki Covenant Church, made the four hour drive from his home in his work truck loaded with firewood (he’s a landscape architect) and a load of bricks. 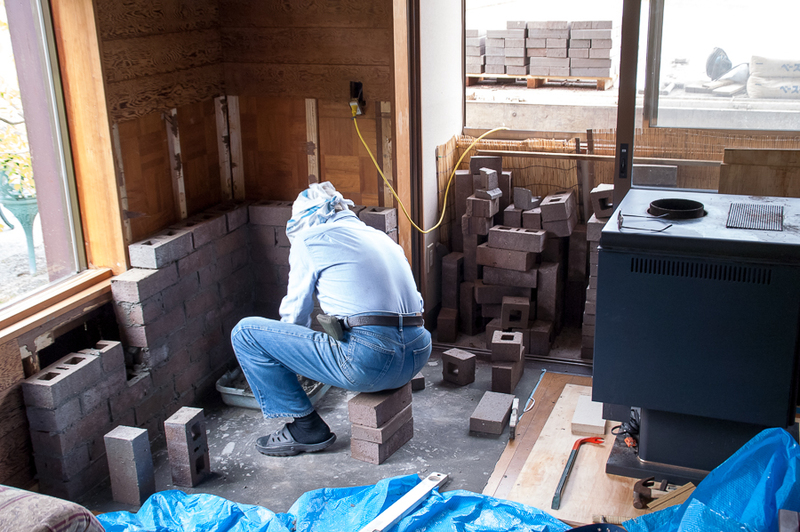 The chimney for our wood stove is going to be installed on September 30th so he started work on laying brick in the corner where the stove will sit. 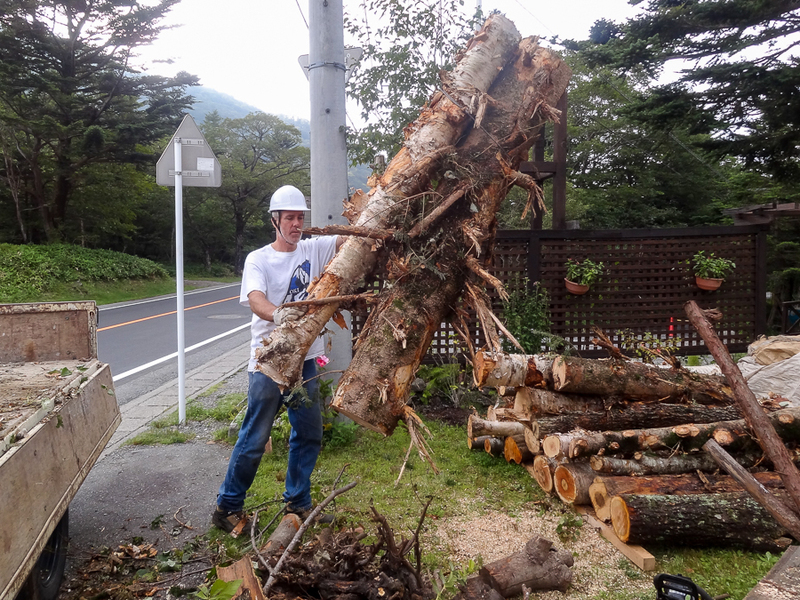 In addition to the load of wood he brought we hit the jackpot with a local supply of wood as well. A few days ago Hydi happened to spot a huge stack of felled trees in the woods. We made some calls and found out that the city waterworks department was doing the work. Today I went to the site and the person in charge from the city office just happened to be on site. I asked if we could have some of the wood and he generously agreed. He had just put in the order for a truck to come at take the wood away so the timing was perfect. 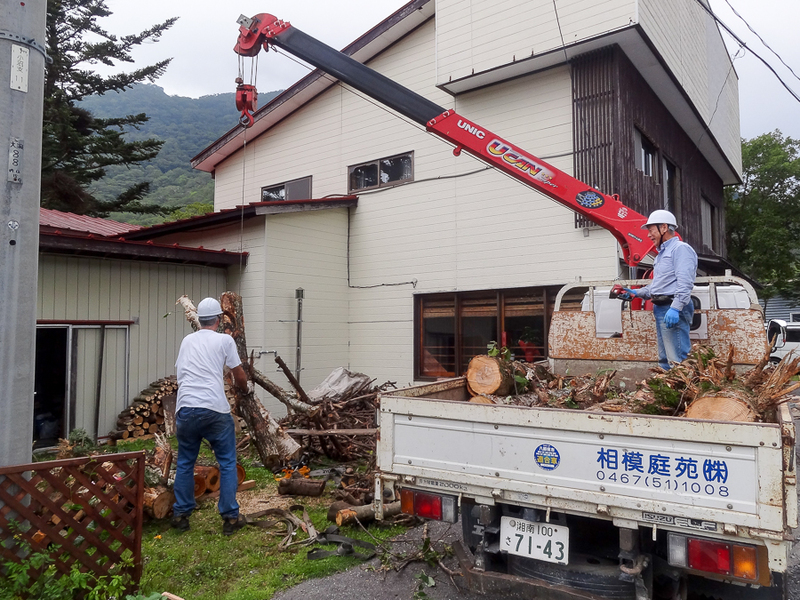 In the afternoon we took Mr. Mitsui’s truck to the site and hauled two loads of logs back to our place. We would have been completely helpless without his crane and truck! So now I’ve got my work cut out for me. The chainsaw and ax will be soon pay for themselves. But first I need to build the racks to hold a season’s worth of firewood. And given the size of some of these logs, I’m seriously on the prowl for a log splitter! And now a word about my friend, Mr. Mitsui. He is one of those folks who just never stops blessing us. I’ve known him since I was in kindergarten. My folks were assigned to help out at the Chigasaki church in 1967 and at the time he was one of the young adults in the church. Even though Chigasaki is a long ways away from Akagi Bible Camp Mr. Mitsui has always had a deep passion for the camp. He has served on the board for as long as I can remember and every spring and summer he makes numerous trips up here, often with his truck and other heavy machinery. He is truly a jack of all trades and has headed up countless key projects that have kept this facility going. He’s old enough to be retired but continues his landscaping business, now officially run by his son Sentaro. He says the best thing about having his son in charge is that now he can spend more time helping out at camp. If we ever build a new building I think we should name it after him! I have no idea how to sufficiently thank him, but I continually give thanks to God for Mr. Mitsui. 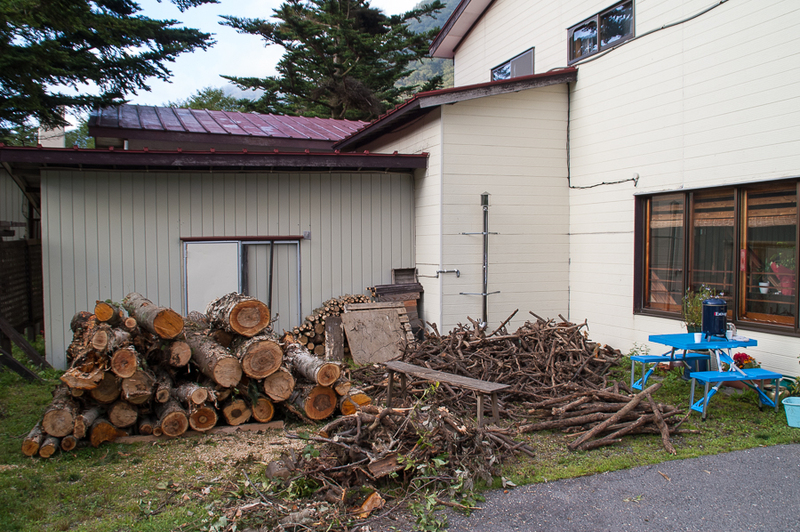 A camping facility operated by the Japan Covenant Church (NSKK). This entry was posted in camp report. Bookmark the permalink.